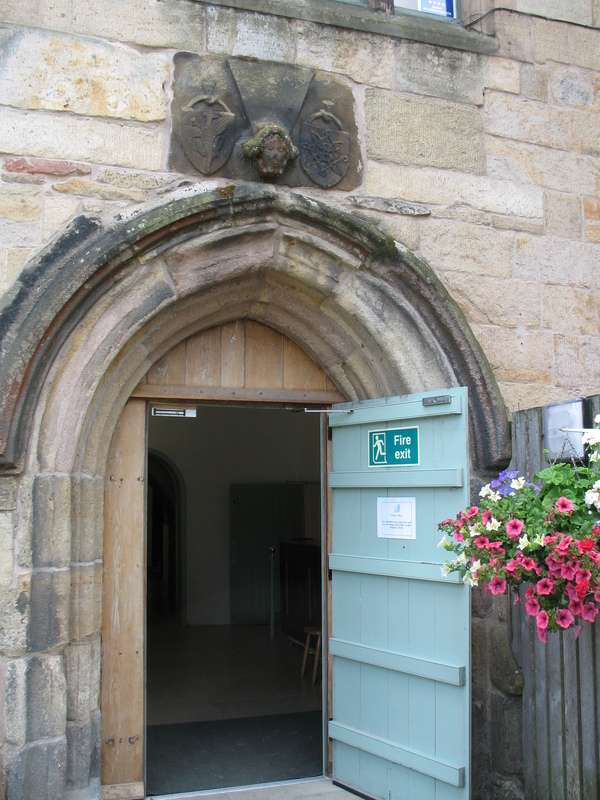 I was at Whalley Abbey today and the Cloisters Cafe was in temporary accommodation within the main house. The door I went in was almost underneath the main steps to the conference centre and when I glanced up I saw some carvings that I had never noticed before. 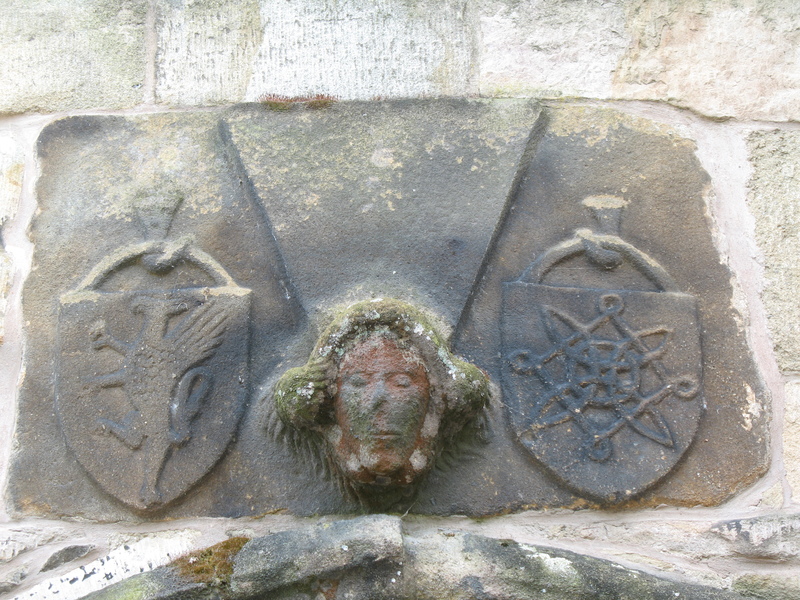 Looking more closely I saw that the emblems on the shields which hang on either side of the carved head are clearly linked with the de Lacy family. To the left is a griffin and to the right the de Lacy fret, or knot. Although the usual arms of de Lacy is the rampant purple lion on a yellow background, Roger de Lacy used a seal that depicted a griffin being stung by a serpent and it has been suggested that this was a representation of his subjugation of the Welsh. Whether the face in the centre of the shields is a random one or if this is a representation of Roger de Lacy is open to conjecture.